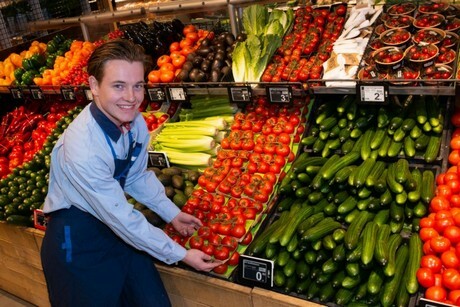 In September 2018, Albert Heijn announced that, by 2025, they want to reduce the amount of plastic used in their stores by 25%. The use of plastic for fruit and vegetables, in particular, is a thorn in consumers' sides. To this end, come Monday, the Albert Heijn store on Genderenplein in Hoofddorp, the Netherlands, will begin an experiment. In this store, 100 products in the fruit and vegetable department will be displayed, unpackaged, on the shelves. The trial's goal is to see how this will influence the products' quality and shelf life. They also want to see how clients react to a fruit and vegetable department where most of the products are plastic-free. Packaging has a function. It is important for products' shelf life and quality. It also prevents food wastage. Some vegetables stay good for longer in plastic. Portion packaging is also handy for smaller households. Packaging prevents food wastage and is, therefore, good for the environment. Less of it can, however, be used. This is why, for years now, Albert Heijn has been reducing their use of plastic. They are doing this by removing or reducing packaging. They also use different, better recyclable materials. For example, they have replaced the convex lids of soft fruit trays with a thin layer of plastic. They have halved the weight of fabric softener containers and boxes of tea are no longer enveloped in a plastic film. Water bottle lids are also thinner and are attached to the bottle. This prevents them from being thrown away in the street as much. Every time a product is improved, its packaging is also in the loop. Marit van Egmond, Albert Heijn's CEO, acknowledges how annoyed customers get when it comes to packaging. 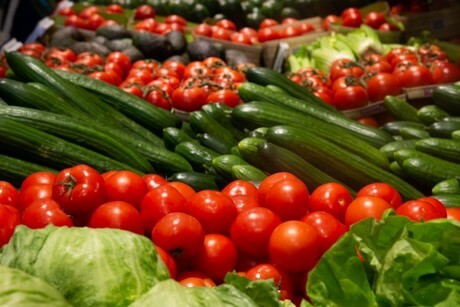 "Many customers wonder whether plastic packaging is really necessary - especially when it comes to fruit and vegetables." "We are currently using dry misting in more than 150 of our stores. This is a fine mist of water that keeps the vegetables fresher for longer. We are now testing to see if a combination of dry misting and no plastic packaging will help with quality and shelf life in such a way that we can start using less plastic packaging." 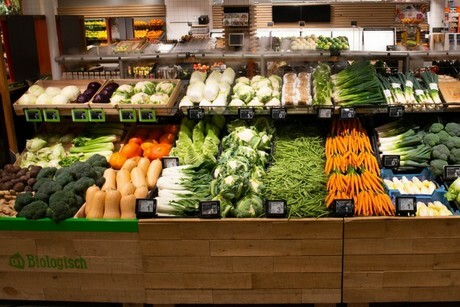 From Monday, 25 March, until Sunday, 28 March, there will be 100 unrefrigerated, plastic-free products in the Albert Heijn store. These products will be in the store on Genderenplein in Hoofddorp's fruit and vegetable department. There will be both organic and non-organic products. These products include carrots, cherry tomatoes, fresh packs, different kinds of lettuce, broccoli, and celery. Then there will also be fruit such as oranges, pears, and mangoes. Excluded are potatoes, onions, herbs, convenience vegetables, and refrigerated fruit and vegetables.